I just can’t stop coming up with new ideas for stuffed burgers! I honestly can’t remember the last time I made a regular burger. The thing is, once you have had a delicious burger stuffed with cheese or bacon or veggies, you just keep thinking of new possibilities. 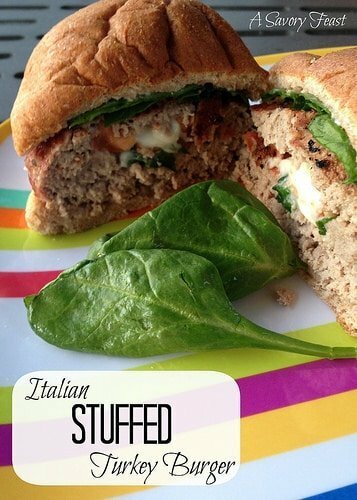 This Italian Stuffed Turkey Burger is filled with fresh ingredients: spinach, basil leaves, tomato, and mozzarella. 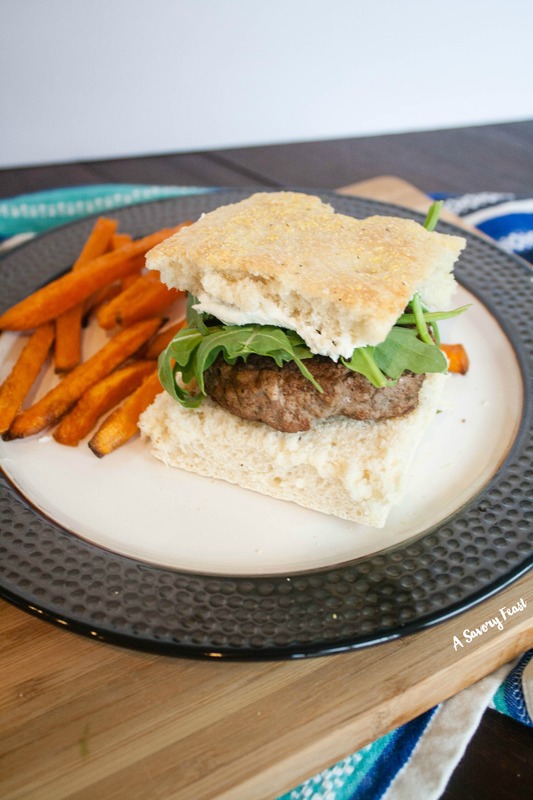 Don’t leave out the fresh basil leaves, they really make the burger by adding a great flavor. 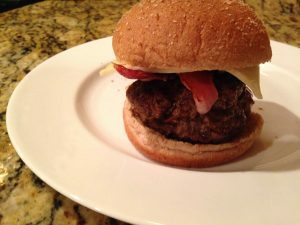 I typically make burgers with ground beef, but for this burger I wanted to go a little healthier and try a turkey burger. While it definitely doesn’t taste the same, I still enjoy turkey burgers occasionally. 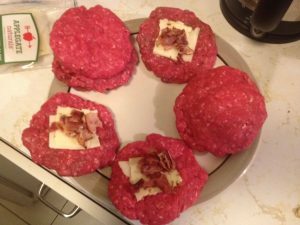 I also found that they are way easier to work with when making stuffed burgers, they are easier to shape and much easier to seal shut than ground beef. We are having unusually nice weather for Florida at this time of the year. The nights are still nice with a cool breeze and not a lot of humidity. I am definitely trying to make the most of it! 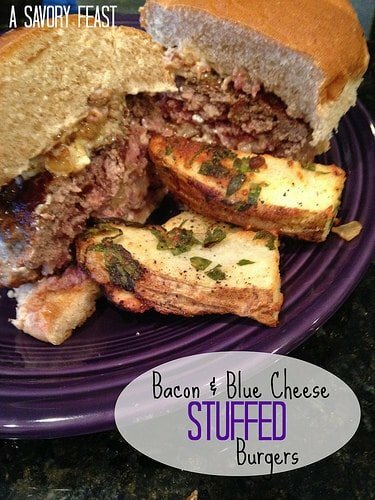 This burger was the perfect meal to grill and enjoy out on the deck. 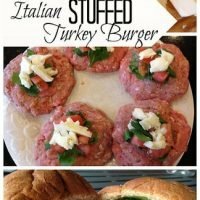 Have you ever tried stuffed burgers? 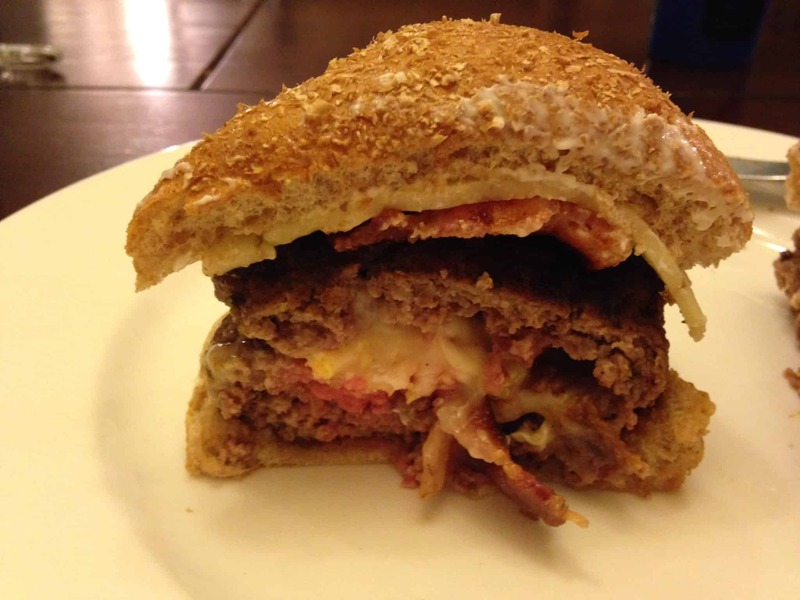 If you have an idea for something I should stuff my burgers with next time, leave a comment below! In a bowl, season the ground turkey to taste with italian seasoning, salt and pepper. Use your hands to mix well. 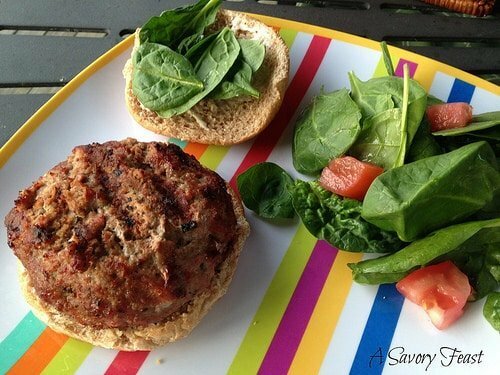 Form the ground turkey into 8-10 patties. 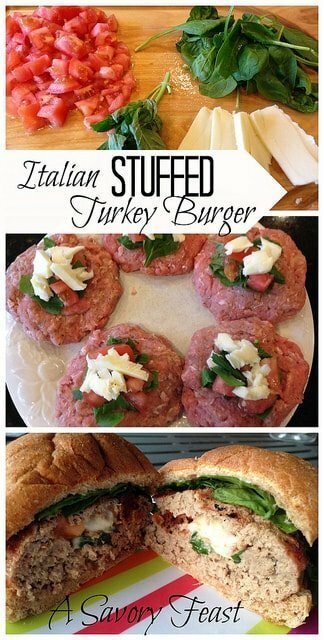 Place a small amount of the tomato, spinach, basil and mozzarella in the center of 1/2 of the patties. Place another patty on top of each stuffed patty and seal the edges very well. Grill according to taste, keeping in mind that it will take longer since the burgers are so thick. I pre-heated my grill to 350 and it took about 10 minutes on each side to cook the burgers medium well. If you don't have a grill, you can cook the burgers on the stove in a skillet. Heat oil in a large skillet on high. Brown the burgers for about 3 minutes on each side. Lower the heat to medium and cook for 5-10 minutes or until cooked according to preference. 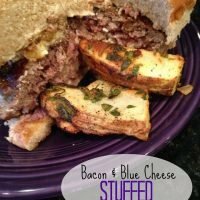 This Bacon & Blue Cheese Stuffed Burger is packed with flavor and goes great with Baked Potato Wedges.